Personnel matters of employees, Logistic support and office security. Interpretation of rules, rendering advice to field offices and Departments on implication of Government Rules. Coordinating and monitoring working of 31 field offices. Pension Cases of Provincial Employees. Family pension cases of the deceased employees. Restoration cases of the Pensioners. Post Audit of Pension Payments. Preparation of monthly civil account. Compilation of accounts prepared by District/Agency Account Offices. Reconciliation of Accounts with State Bank of Pakistan Karachi. Reconciliation with Provincial Departments at controlling level. 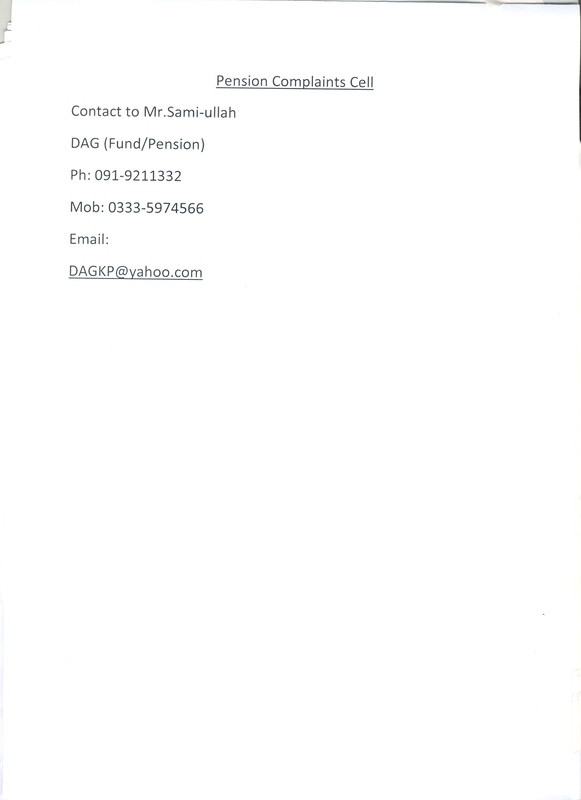 Preparation of Classified abstract Received from various DAOs. Providing Expenditure Figures for Appropriation Accounts . Revenue & Estate Department, Peshawar. Govt. High School Nakband, Peshawar. District Officer (Female), School & Literacy Department. All Govt. Girls High & Higher Secondary Schools, Peshawar. 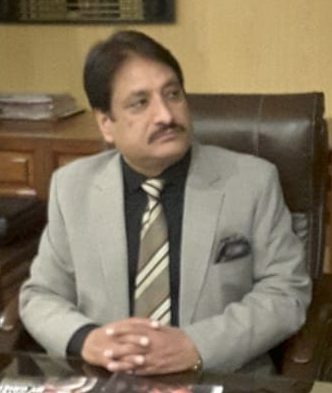 District Officer (Male), School & Literacy Department. All Govt. High & Higher Secondary Schools, Peshawar. City District Govt. Works & Services, Deptt. Peshawar. Executive District Officer, Health Department. Govt. High School for Deaf, Peshawar. Institute for Blind (Girls), Peshawar. Govt. I.D Children Hospital, Peshawar. 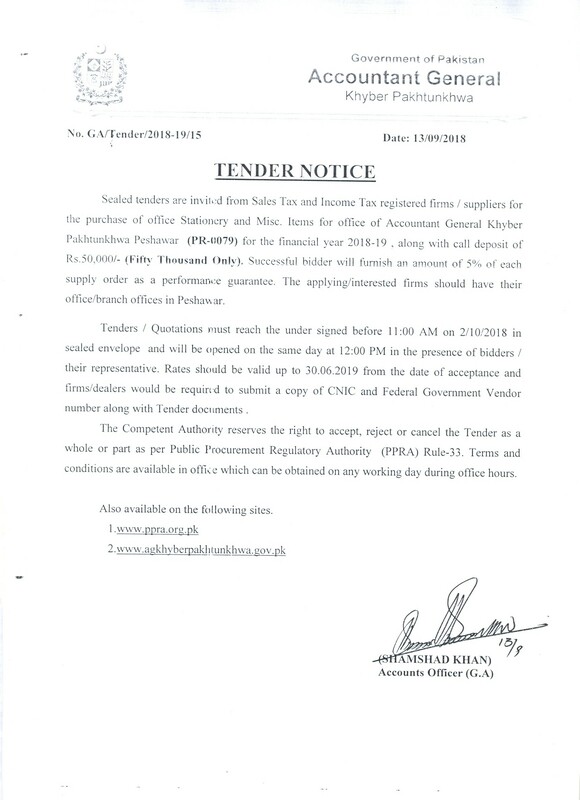 District Officer, Agriculture Extension, City District Govt, Peshawar. Rehabilitation Center for Drug Addicts, Peshawar. Welfare Home for Children Baggers, Peshawar. Interrogated Social Development Center, Peshawar. Vocational Training Center for Disabled Persons, Peshawar. National Special Eduction Center, Peshawar. Establishment & Administration Department, Peshawar. KPK Public Service Commission, Peshawar. Home & Tribal Affairs Department, Peshawar. Local Govt. Elections & Rural Development Department, Peshawar. Pak Academy for Rural Development, Peshawar. Inter Provincial Coordination Department, Peshawar. Provincial Highways and Bridges, Peshawar. Provincial Building Maintenance Cell, Works & Services Deptt, Peshawar. Live Stock and Rural Development Department, Peshawar. Govt. Technical and Vocational Training Center for Women, Peshawar. Provincial Assembly Khyber Pakhtunkhwa, Peshawar. Secretary Excise & Taxation Department, Peshawar. 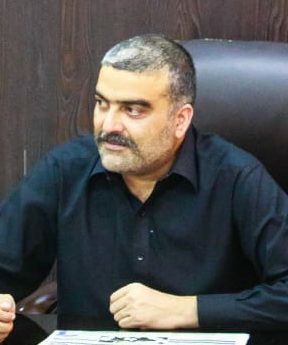 Secretary Works and Services Department, Peshawar. Directorate of Information Technology, Peshawar. Provincial Disaster Management Authority, Peshawar. Communication and Works Department, Peshawar. Directorate of Schools & Colleges, Peshawar. Mines and Mineral Department, Peshawar. Directorate of Technical Education, Peshawar. Archives and Libraries Department, Peshawar. Stationery and Printing Department, Peshawar. Industries, Commerce and Labour Department, Peshawar. Provincial Health Services Academy, Peshawar. 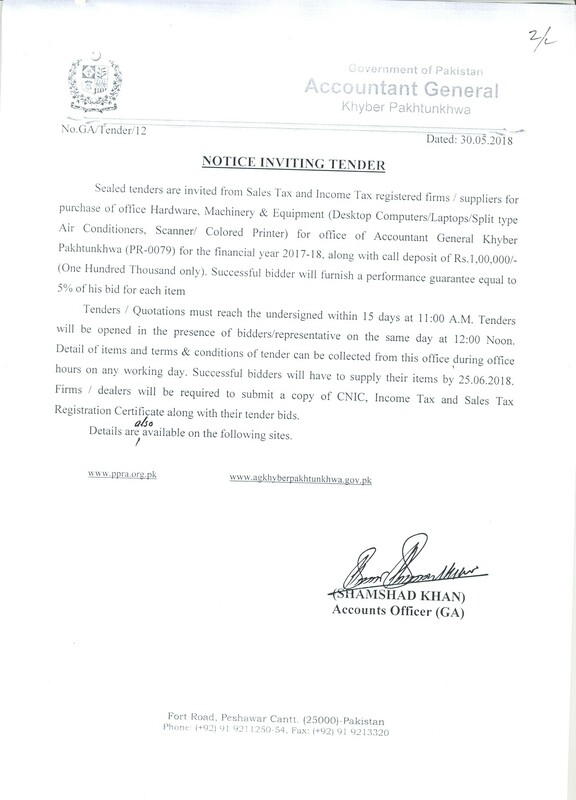 Secretary Excise and Taxation Department, Peshawar. Directorate Sports and Culture, Peshawar. Coordination of computerization activities of AG and Field offices.